We pay you for your old SHIFTPHONE! There is a deposit on each of our devices. But what happens with your broken SHIFTPHONE after you send it back to us? An important part of our sustainability efforts include reuse, recycling and proper disposal of our products. Therefore we are delighted to take defect devices back. Besides that, we take special care to use materials in the production process which can be recycled. 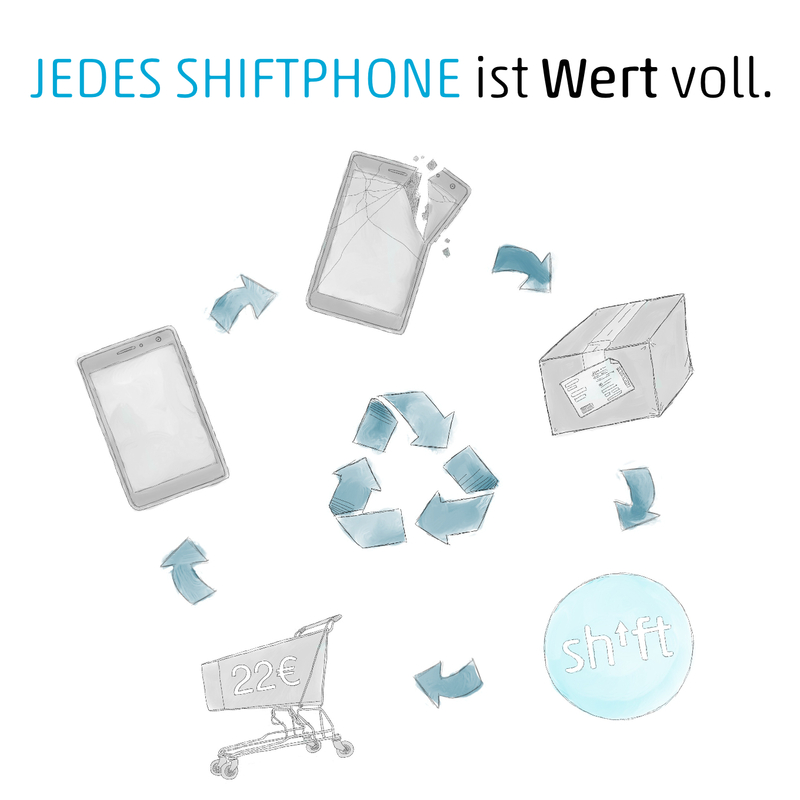 At the end of your SHIFTPHONE’s life you can wrap it in its original packaging and send it to us to Falkenberg in Germany. Please add receipt of purchase, deposit certificate and a completed deposit form to the shipment. Once the device arrived here, you will get a voucher of 22 € for our shop. The state of your SHIFTPHONE doesn’t matter, by the way. You will get your deposit, no matter how damaged the device is. Saeed is our electrical technician here at SHIFT. He and his team will lay hands on your old SHIFTPHONE and try to repair it in our own workshop in Falkenberg. In case of success, it will be prepared for another life cycle, to be sold again. We celebrate each repaired and revived SHIFTPHONE. We strive to generate as little waste as possible and to avoid wasting resources. Or your SHIFTPHONE will be disassembled! If your device cannot be revived, we will remove all parts which are still working. Those will then be used to repair other devices. Parts which are broken beyond repair will be recycled, to reuse precious resources. This works very well with precious metals and single-origin plastics, but cannot be done with some rare resources. This is one reason why we don’t use Coltan, a questionable raw resource, in any of our devices. Main boards and smaller electronic parts like microphone, speakers, and displays beyond repair will go to our partner AfB (non-profit IT company creating jobs for people with disabilities). Since 2004 AfB specialised in reprocessing and subsequent reselling of phased out IT hardware. Plastic parts, for example the back cover or bumper sleeves, will be completely recycled. The material will be used to make new parts. Antennas, cables, and batteries go to another one of our partners, the RU Recycling- und Umweltdienst GmbH. They are an experienced environmental company offering a wide range of ecological services. This includes waste reduction, long term usage, repair, and recovery of resources.